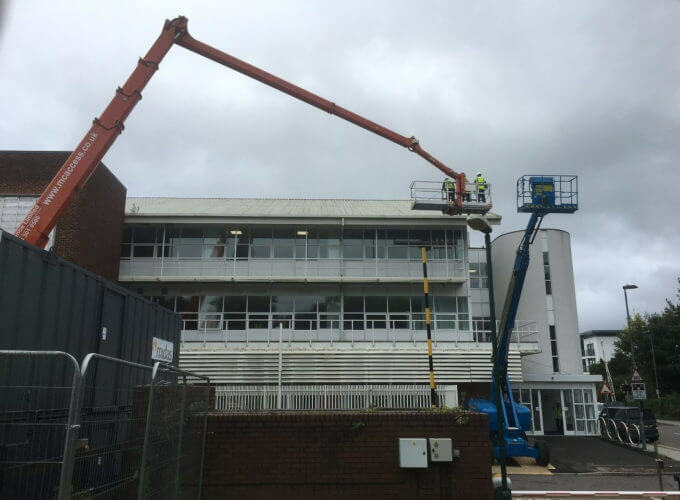 This prestigous Hotel in Hampshire needed their chimneys cleared of debris and we also took advantage of the day to give the roofs a thorough inspection for any potential future works that might be required. 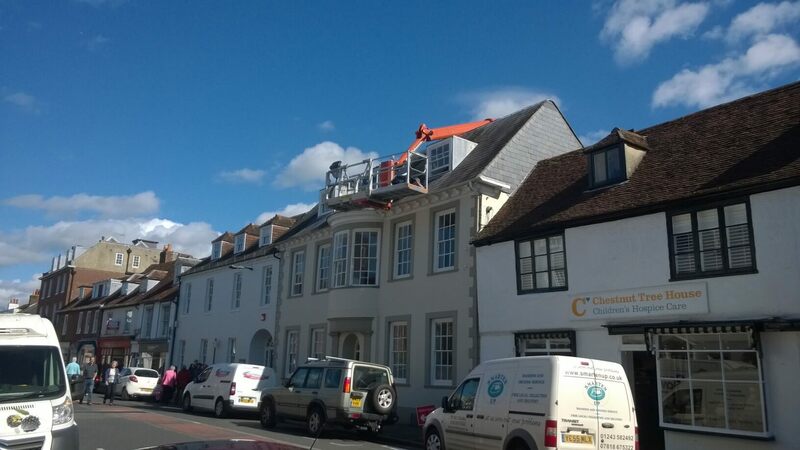 Having been asked to clean the gutters at this prestigous property in Chichester, we needed to gain access to the back and front of the property. 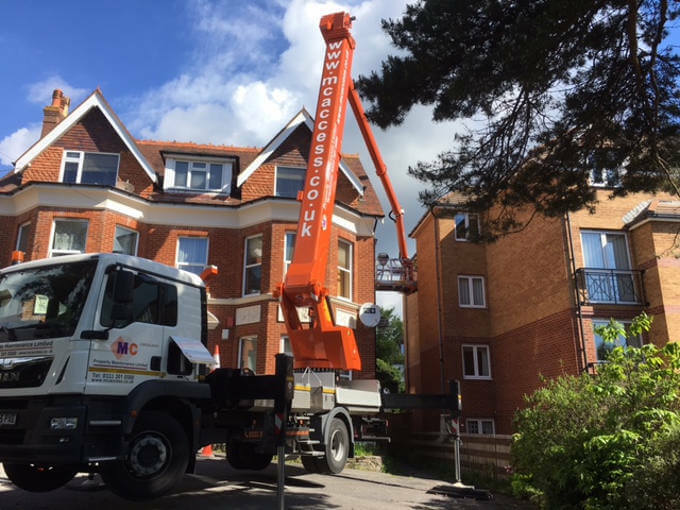 having assessed the property we decided that using the Palfinger P480 from the car park in the back we could still reach the gutter line at the front of the property. 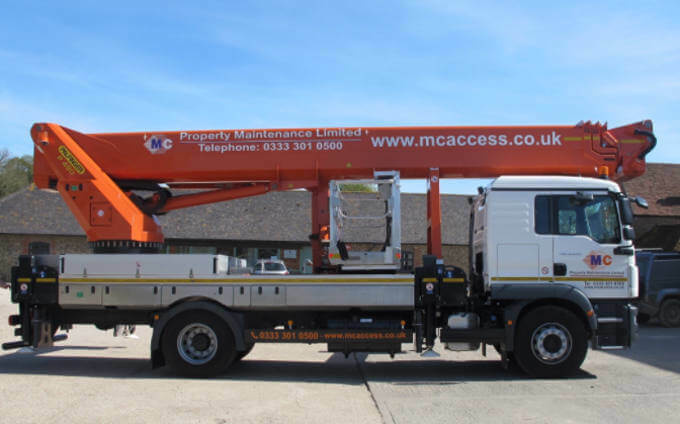 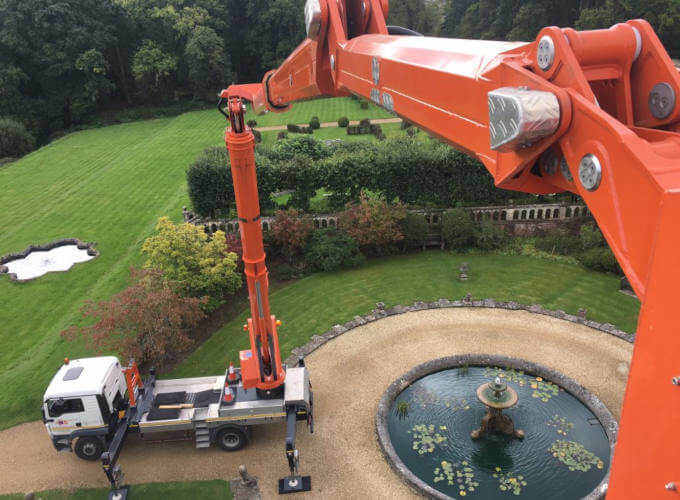 Using the correct cherry picker for a job can seriously save money.